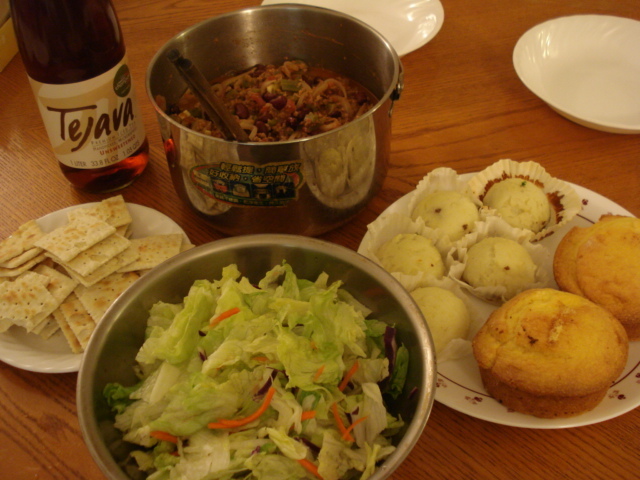 Clockwise: Homemade chili, mashed potato not-quite-croquettes, cornbread muffins, salad, saltines, unsweetened iced tea. I used the recipe here: http://southernfood.about.com/od/groundbeefchili/r/50716b.htm. Hit the spot, I used half a can of chile peppers and it was pretty spicy. 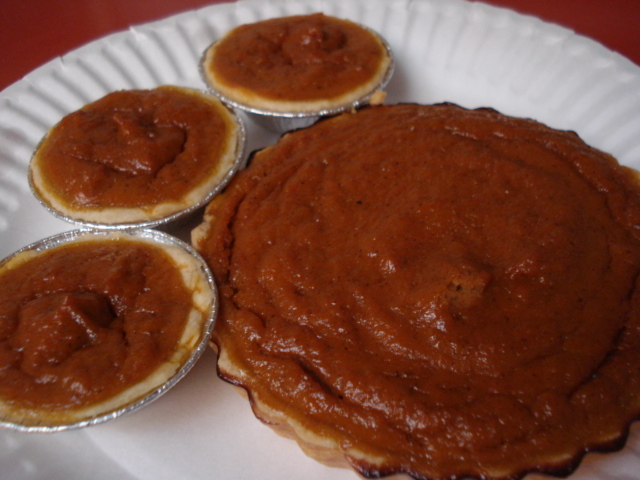 For me, pumpkin tarts are up there with cornbread as the baked good with easiest cleanup, they’re even slightly more fun to make due to the dough-rolling. Two thumbs up = Wilton Perfect Results tart pans with removable bottoms. For under $20, you get a set of 6.